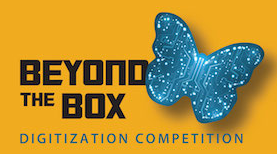 The Beyond the Box Digitization Competition will award $1 million to the person or team who creates a technology that increases the speed and accuracy of digitization of a drawer of insect specimens and their associated data. The competition is a joint project of the U.S. National Science Foundation and the American Institute of Biological Sciences. The competition will open in September 2014.